The diverse nature of maritime crimes and threats is blurring the distinction between traditional defence against other nation states, to ensuring broader maritime security from non-traditional threats including from non-state actors, who may perpetrate maritime terror attacks with tacit approval of some states. The maritime environment is also a conundrum. On the one hand, sovereign nations have sought to extend their maritime claims as technology enables extension of their economic and political interests deeper into the oceans, at the same time, major naval powers and commercial shipping stakeholders are attempting to preserve the freedom of the seas and free access to archipelagic waterways, to benefit commercial vessels, free trade and warship transit. Between these two policy domains, where consensus is difficult to arrive, crime has continued to flourish. Maritime security has gained prominence in the last couple of decades largely due to the impact of piracy and maritime terrorism. These two issues have impinged upon the sovereignty of nation-states and have also threatened the global economic framework. The end of the Cold War promised an era where the threats to national and international security were expected to decline. While States were geared for traditional defences, a series of unconventional threats emerged in realms where there was a lower degree of regulation and control across porous land borders, amidst ethnic populace within a nation-state, on national systems and networks, in the cyberspace and in the maritime domain. Maritime arena has vast unregulated spaces which historically has been an arrangement of choice. Dutch jurist Hugo Grotius in his book Mare Liberum (The Freedom of the Sea) written in the 16th century, postulated the free use of the seas by one and all. This remains one of the founding principles of modern international maritime law. International systems and force levels were, therefore, not oriented towards controlling or regulating the vast ocean spaces. It would however be incorrect to assume that maritime crime is a recent phenomenon. Indeed, maritime crime is as old as maritime trade itself. Piracy existed ever since mariners and commodities transited the oceans. Ancient Roman, Greek and Chinese mariners all reported piracy attacks. Julius Caesar was captured by pirates in 76 BC and vowed to put an end to the menace as soon as he was released after paying a hefty ransom. While piracy and terrorism at sea have attracted greater focus, there are several other crimes which have not received due attention such as Illegal, unregulated and unreported or IUU fishing, human smuggling, drugs and arms trafficking. Several of these have consequences far greater than piracy and maritime terror. As a case in point, the worldwide losses due to illegal fishing have been estimated between $10 billion to $23 billion annually over the last decade. By contrast, piracy cost was between $7 billion to $12 billion in 2010-2011, the highest in recent memory. Other than the nature of the medium and its predominantly ungoverned state, there are some common underlying causes to maritime crimes. Every form of maritime crime is reflective of corresponding geo-political complexities on land. Piracy in South East Asia in the 1990s was attributed to political turmoil and economic recession. Australia, a major destination for human smuggling, saw manifold increase in boat arrivals from Afghanistan and Iraq in 1999, coinciding with instability in those countries. The growth of piracy off the Horn of Africa, could be attributed to the ethnic strife and severe socio-economic hardships that existed on land. The global dependence on maritime trade and the resultant increase in shipping, its support activities, including the development of almost 6,500 ports and terminals across the world, also offers a limitless range of tempting, high pay-off targets that criminals and terror organisations could tap into. Policing the seas remains a challenging proposition. Covering 139 million square miles, the oceans equate to almost two and a half times the planet’s terrestrial surface area. Matters are made complex by the legislative and regulatory frameworks that administer the maritime environment. Flags of Convenience Vessels and phony companies hiding their true intent and purpose, often makes tracking of activities difficult. The United Nations Convention on the Laws of the Seas (UNCLOS) that came into force in 1994, applies only to nation-states, leaving activities of non-state constituents such as shipping companies, ship owners and cargo owners open to jurisdictional interpretation. UNCLOS also has an “optional clause” by which a signatory may choose from a variety of dispute resolution mechanisms and exclude certain subjects, often contentious, from mandatory dispute resolution. Piracy laws are archaic and complex, making prosecution difficult. Suffice it to say, maritime crime is much more difficult to adjudicate than crime on land due to peculiar circumstances that govern the maritime arena. As observed earlier, piracy has existed ever since maritime trade began. As commercial trade expanded, coastal communities evolved ways to earn money from passing merchantmen. These ranged from piloting and provisioning of ships, both legitimate, to extortion and outright pirating. With the growth of trade, piracy also expanded. By around the 14th and 15th centuries, many navies were created with the primary aim of protecting shipping and trade from piracy. This, however, was a costly proposition. A cheaper option was privateering. Letters of marquee were issued by states to individuals conferring upon them commissions for privateering or limited authority to capture ships and cargoes for which they would receive compensation. The State exercised control over the proceeds in terms of the value and distribution of captured goods under the ‘Prize Law’. Privateers were supported by wealthy investors, who took the lion’s share of the ‘Prize money’ and distributed the rest between the Captain and the crew. Some money was also paid to high-ranking officials of the kingdom to sustain the enterprise. In general, both pirates and privateers plundered ships, with the exception that the latter was with the tacit approval of the state. Privateering also proved an attractive option to destroy rival shipping capability at virtually no cost to the authorising state. Piracy reached a peak between the years 1716 and 1725, a period called ‘the Golden Age of Piracy’. Navies responded by setting up convoys to protect merchant ships or even offering, for a fee, to transport cargo on warships. Most pirates were captured or eliminated through concerted effort of navies. By the turn of the eighteenth century, piracy was a forgotten phenomenon, though privateering took centrestage. Privateering reduced only after the defeat of Napoleon in 1815 when most states agreed that attacks on commerce should be the last resort. The 1856 Peace of Westphalia treaties saw major naval powers outlawing privateering and the 1897 Declaration of Paris outlawed it completely. Just when it was thought that pirates were only in books and movies, history repeated itself and by the 1980s, merchant ships were reporting piracy attacks, first off West Africa and thereafter in South East Asia. The number of incidents tripled between 1991 and 2001. Between 2006 and 2011, piracy cases outnumbered the previous year for five straight years. The actual problem was far more acute as nearly 50 per cent of piracy attacks were not reported, largely because of the fear that subsequent investigations may cause delays and cost overruns for shipping companies. There was also the feeling that reporting of such incidents will merely raise maritime insurance premiums. Modern piracy modus operandi indicates that other than the pirates who are the front-end, an elaborate ‘back-office’ arrangement manages the piracy industry. Piracy is largely funded by wealthy businessmen with hired boats and crew with reasonable marine skills. A large chunk of money is for the procurement of weapons and electronic equipment. After a successful hijack at sea, the crew of the vessel are generally well-looked after in most cases. The ship owner is then contacted and negotiations are concluded with regard to the ransom amount and its delivery. The spoils are split between the financier, who possibly gets the bulk, pliable government officials, pirates and crew. Some amount is ploughed back into the system to keep the game going. A key aspect of piracy, unlike other maritime crimes, is its trans-national imprint. A ship registered in Country A carrying cargo from Country B to Country C, when hijacked by say Somali pirates, could have crew from a number of other nations. Ransom payments for vessels are usually made in cash and paid through middlemen based in different countries. The money could then be laundered to finance other crimes including terrorism and fundamentalism. Piracy trends over the years have also changed. While initially, pirates used machetes, knives, and pistols during attacks, they later came equipped with AK-47s, M-16s, rifle grenades and RPGs. Ransom too increased. In 2005, the average ransom paid in Somalia was around $150,000. By 2007, ransom demands were averaging $500,000, increasing to $3 million by 2009. In 2010, average ransom increased to $4 million and in April 11, a record $13.5 million was paid to release the ‘Irene SL’, a Greek flagged Very Large Crude Carrier carrying two million barrels of oil valued at $200 million. By the end of 2011, average ransom had gone up to almost $5 million, a three-fold rise in six years. Higher ransom also meant longer negotiation period. The average period in captivity of crew of ships hijacked also increased from 55 days in 2009 to 178 days in 2011, coinciding with the year when maximum ransom was paid. Internationally, there were a number of initiatives to address concerns of piracy. About 25 countries deployed their naval forces, some independent and some in groups in the piracy-affected regions off Somalia. Apart from task groups such as the US-led TF 151, the EU Naval Task Force and the NATO-led forces, countries such as China, India, Japan, Russia, Saudi Arabia and Malaysia operated as independent forces sharing operational information. Several UN Resolutions urged member states to provide technical assistance to Somalia and nearby states to enhance their capacity to fight piracy and prosecute those responsible. Apart from UN and IMO, inter-governmental mechanisms were also set in place to fight piracy. The Regional Cooperation Agreement to Combat Piracy and Armed Robbery Against Ships in Asia (ReCAAP) was the first regional government-to-government agreement to promote cooperation against piracy and armed robbery in Asia. An Information Sharing Centre (ISC) was started in November 2006, in Singapore under the Agreement. The Centre works towards suppressing piracy and armed robbery in Asia by information sharing, capacity building and cooperation among contracting parties. A sub-regional meeting held in Djibouti, adopted a Code of Conduct known as the Djibouti Code of Conduct towards suppression of piracy in the Western Indian Ocean and the Gulf of Aden. Three Information Sharing Centres were established as part of the agreement at Sanaa, Dar es Salam and Mombassa. In addition to inter-governmental arrangements, various industry-led functional arrangements were also made such as UK Maritime Trade Operations (UKMTO), to support UK-flagged vessels as also the maritime industry in general, Maritime Security Centre – Horn of Africa (MSC-HOA), an initiative by the European Union, the NATO Shipping Centre, a link between NATO Naval forces and merchant shipping community operating in area and the International Maritime Bureau Piracy Reporting Centre at Kuala Lumpur, funded by the International Chamber of Commerce (ICC) based at London. A designated transit corridor called the Internationally Recommended Transit Corridor (IRTC) was promulgated by the UK Maritime Trade Organisation for use by all mariners for safe transit of merchant traffic which was monitored by multi-national forces. All these resulted in drastic reduction in piracy incidents. From the peak of 2010-2011, it reduced by over 50 per cent in 2016, lowest in a ten-year period. The severity of incidents further reduced in 2017, and the first quarter of 2018 indicates further decrease as compared to earlier years. However, it cannot be claimed that piracy has been eliminated as attempts are still being reported along with some incidents of lesser severity. While several measures have been taken to fight piracy, some issues remain that demand greater attention and consensus between stakeholders. One such issue is that of Armed Guards onboard Merchant Ships. IMO’s Maritime Safety Committee (MSC), in May 2011, issued an interim guidance on the employment of Privately Contracted Armed Security Personnel on board ships transiting high-risk piracy areas. The recommendations also state that, Flag States should have a policy in place on whether the use of such personnel is authorised and if so, under what conditions. The complexities arising from employment of armed guards became evident in the case involving the Italian-flagged ship MT Enrica Lexie, wherein fishermen operating in traditional fishing grounds off the Kerala coast were mistaken as pirates, leading to death of innocents. Legal proceedings as a consequence of the incident are still ongoing. Another related problem is that modern anti-piracy laws are sketchy to say the least. Few countries have dedicated laws that address the concern. Prosecution is also complicated due to varied jurisdictions involved, such as the incident becoming a combination of ‘brown water’ offences i.e. those committed within Exclusive Economic Zone (EEZ) of a nation and ‘blue water’ offences i.e. those committed on the high seas. Needless to say, concerted efforts of the international community are called for, for eradication of piracy. Another issue of increasing concern for security agencies is maritime terrorism. Maritime environment comes across as an obvious choice for attacks for several reasons. Firstly, as observed earlier, is the unlimited range of high pay-off targets that the marine environment has to offer. Secondly, maritime attacks tend to be disproportionately skewed in favour of the attacker in terms of costs, unlike land-based or airborne attacks. The attack on oil tanker MV Limburg in 2002 for instance, cost only a few thousand dollars to execute, but it resulted in a short-term collapse of international shipping in the Gulf, led to a 48 cent hike in the price of Brent crude oil, caused tripling of war risk premiums on ships calling at Aden, a 93 per cent drop in container terminal throughput and cost the Yemeni economy an estimated $3.8 million a month in port revenues. Incidentally, the attack on USS Cole cost about $10,000, while repairs to the ship cost almost $250 million. The disproportionate pay-off in case of maritime attacks is also in terms of loss of life. Ships offer a unique opportunity in which large numbers are aggregated in a single confined physical space. A successful attack offers the opportunity to inflict ‘mass casualties’ that terrorists aspire for. Bombing of the Super Ferry 14 in the Philippines by the Abu Sayyaf group for instance, left over 116 people dead, involved a total planning cycle of only a couple months and was executed with a very crude Improvised Explosive Device; 16 sticks of dynamite placed in a hollow television and cost no more than $400 to execute. If the incentives are promising, what explains the small percentage of terror attacks at sea? 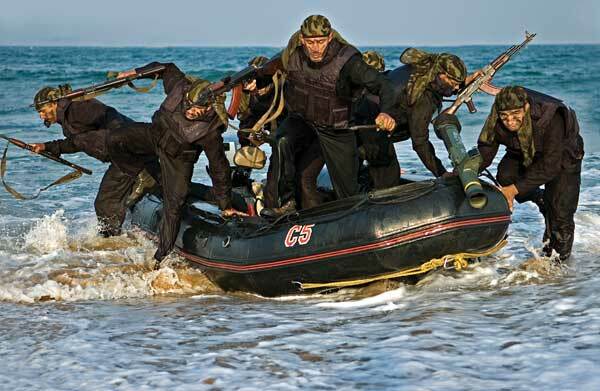 Historically, the oceans have not been a major focus for terrorist activity. It is estimated that maritime terror incidents constitute only about two per cent of all international terror attacks in the last three decades. While terrorist outfits may aspire to operate with impunity in the world’s waterways, a major disincentive is the complexities associated with the marine environment. Operating at sea requires mariner skills, access to appropriate assault and transport vehicles and the ability to sustain operations from a non-land-based environment, all of which are specialist capabilities that are not easy to acquire. 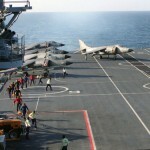 However, the attack by terrorists in Mumbai on the night of November 26, 2008, gave a changed variant to the exploitation of the maritime environment. The terrorists, during their passage on the fishing boat Kuber, hijacked from Indian fishermen, acted and behaved like seasoned mariners. They were trained to operate on the high seas by all counts; launching an attack immediately on landing after a 100-plus hour journey at sea in a small fishing boat, proves this point. The attack was also path-breaking on another count. Hitherto, nearly all attacks were planned to originate and terminate at sea. Attacks on MV Limburg, USS Cole and Super Ferry 14, all began and ended at sea. By contrast, 26/11 was planned to influence events on land. There had been only one attack similar to 26/11, that by the PLO on the Savoy Hotel in 1975, where operatives landed by boat at a Tel Aviv beach by night. 26/11 was a much more ambitious foray that exploited the traditional weaknesses of the marine environment. It also proved that maritime expertise was available in the criminal market for an ideology or worse still, for a price. Some analysts have also suggested a nexus between piracy and maritime terror, though with little evidence, other than the possibility of ransom money being used to fund terrorist activities. In addition, the US launched the Container Security Initiative (CSI) in 2002. Container security has been an area of intense scrutiny, especially since 9/11, due to the rather low levels of inspection and security associated with containerised cargo. About 60 per cent of maritime cargo is carried in containers, enabling the possibility of containers being used to infiltrate weapons including those capable of mass destruction, time and location-based bombs or terrorists, into national boundaries. The Proliferation Security Initiative (PSI) is another global effort that aims to stop trafficking of Weapons of Mass Destruction, their delivery systems and related materials to and from states and non-state actors. There are several other initiatives that have been launched to address maritime security, in particular terror-related concerns. Despite this, legislative regimes remain weak due to differing perspectives of stakeholders and the absence of UN mandate to several of these proposals. Other than piracy and maritime terror, Illegal, Unreported and Unregulated (IUU) fishing constitutes one of the most common and widespread maritime crimes. It is also one of the most economically damaging. Essentially it is illegal fishing conducted in waters under the jurisdiction of a state, without its permission or in contravention of its laws and regulations. Globally, IUU fishing is estimated to be between 20 and 25 million tonne of fish annually i.e. about 20 to 30 per cent of total production. IUU fishing is a lucrative proposition, due to the large markup between cost of fishing and sale value. Rare species fetch prices usually associated with works of art. Concurrently, global demand for seafood is rising. According to the Food and Agriculture Organisation (FAO), fish production increased from approximately 38 million tonne in 1960 to 174 million tonne by 2017. This rate of growth is significantly higher than the rate of growth of the global population. It is estimated that annual losses due to illegal fishing is between $10 billion to 23 billion and possibly the fourth most lucrative crime worldwide after drug trade, counterfeiting and human trafficking. Regular surveillance and monitoring of maritime zones by Coast Guards and Navies is the only way to curb the menace of IUU. This is another menace of growing concern emerging from factors such as political turmoil, civil war, poverty and repression. Most individuals, who consent to being smuggled, are escaping poverty, seeking opportunities abroad, escaping natural disaster, conflict or persecution. Some may be seeking asylum. It is important to distinguish between ‘Human Smuggling’ and ‘Trafficking’. Unlike human trafficking, which is transportation of people from one place to another without their consent and in many cases, without their knowledge, in order to exploit them, human smuggling is characterised by consent between customer and smuggler – a contractual agreement that typically terminates upon arrival at destination. Human Smuggling is also typified by the term ‘Boat People’, which came into common use during the late 1970s with the mass departure of Vietnamese refugees, following the Vietnam War. Human Smuggling by sea, as per UN estimates, was about 70,000 in 2011. Some studies place an annual turnover of $7 billion; mostly profits. Needless to say that transportation by sea is much more perilous than transportation by land or air. Ships and boats used for smuggling tend to have little or no safety measures. Most are loaded beyond capacity and offer inhuman living conditions at times resulting even in death during the voyage. Even though different in nature, stowaways are in a way another security concern. A stowaway means a person who secretly takes passage on a ship or its cargo, without the consent of the ship-owner or the master. While some of these may be cases of people looking for better opportunities in a foreign land, it is also a way for criminal elements to enter a port or a new country. The problem is not new and there are IMO guidelines for prevention of access by stowaways. Masters, ship-owners, port authorities and other stakeholders, including those providing security services ashore, have a responsibility to prevent stowaway incidents. Smuggling of drugs and psychotropic substances is rampant across the oceans. Sea routes are favoured for concealed transportation of drugs. Fishing boats, small cargo vessels and pleasure craft, especially speedboats are used for smuggling illegal drugs and psychotropic substances, since they are subject to fewer controls and reporting requirements than large-scale commercial vessels. Commercial vessels are used for moving large quantities of drugs between countries, particularly as un-manifested, well-concealed or falsely declared cargo. Today’s traffickers use a wide variety of routes, often trans-shipping the cargo several times until its country of origin is completely obscured. Few ports can now be considered safe from attempts to place drugs and other illicit substances onboard. Various UNCLOS articles cover aspects related to drug smuggling. Article 27 of the UNCLOS states that a coastal State shall have criminal jurisdiction over a foreign ship for the suppression of illicit traffic in narcotic drugs or psychotropic substances. Article 108 stipulates that States shall cooperate in the suppression of illicit traffic in narcotic drugs and psychotropic substances engaged by ships on the high seas. Any State which has reasonable grounds for believing that a ship flying its flag is engaged in illicit traffic in narcotic drugs or psychotropic substances, may request the cooperation of other states to suppress such traffic. Strict vigil by port authorities, intelligence agencies and surveillance by maritime security forces is the only way to check this menace. Arms trafficking is carried out by organised crime syndicates, insurgent groups, arms dealers, as also rogue states. Some of the terror groups have their own vessels to transport arms. Chartered or phantom vessels are also used for this purpose. Arms are subsequently transferred mid-sea into speed boats or smaller vessels that avoid detection by maritime forces. Intelligence agencies and maritime forces have to remain alert to this menace. Another form of maritime crime that is likely to emerge in the near future, is one related to exploitation of deep sea-bed resources. Deep sea, generally considered to be beyond the 200m depth, constitutes the largest eco-system on Earth with vast untapped mineral resources. The exploitation of deep sea-bed resources is governed by the Seabed Declaration adopted in 1970. According to the declaration, the sea bed and ocean floor beyond the limits of national jurisdiction, i.e. 200nm, collectively called ‘the Area’, is common heritage of mankind. No state or individual can exploit resources in the area in a manner incompatible with the international regime in that area. The International Seabed Authority (ISA) is an inter-governmental body based in Jamaica which was established by the Law of the Sea Convention in 1994 to organise and control all mineral-related activities in the international seabed area beyond national jurisdiction. In 2001, the ISA signed 15-year contracts with seven governmental organisations that had applied for exploration of specific seabed areas and an eighth was added in 2006. Each of the signatories was given an area of 150,000 sq.km. While exploitation of the seabed in right earnest is yet to commence due to limitations of technology, the ISA has also received applications from private firms, sponsored by their respective governments, for exploration of poly-metallic nodules. It is evident that with the passage of time and more affordable technology, seabed resources would generate more interest, which in turn may lead to unauthorised or illegal exploitation. It would be clearly evident that maritime crimes and challenges posed by them have become more complex and need innovative approaches. While some could be tackled by individual states, most would need a multi-lateral approach. Some of the smaller states may need assistance of others as their enforcement agencies would not have enough resources. In essence, closer cooperation between nation states, with trans-regional linkages in intelligence, surveillance, information sharing and capacity building, together with effective patrolling by maritime forces, would ensure safer oceans. Maritime security agencies, therefore, have their work cut out. On a lighter vein, it gives Navies and Coast Guards of the world reason to seek higher budgetary allocation from their Governments to acquire more ships and aircraft, may be even submarines! Vice Admiral MP Muralidharan was the first Commandant of Indian Navy Academy at Ezhimala.